Your smart devices are always virtually hopping around trying to connect to Wi-Fi, which is great for when you want to surf the Web but it hammers your battery. 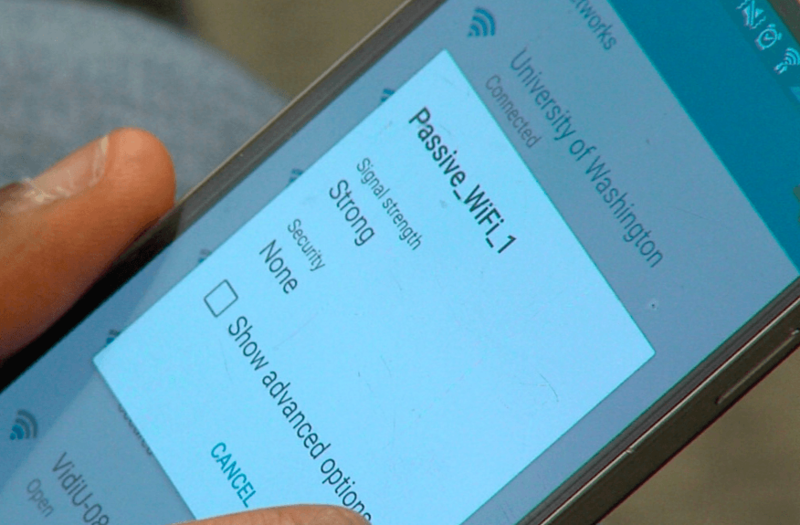 Now a team of researchers from the University of Washington has created what they’re calling a Passive Wi-Fi system that uses almost no power at all by transferring typically power-consuming analog activity to a single hub plugged into the wall. They say the system uses 10,000 times less energy than conventional methods, but still offers transfer speeds of up to 11 megabits per second and has been shown to work at distances of 100 feet. As well as being compatible with existing Wi-Fi standards, the team believes this will revolutionize the Internet of Things and potentially enable new types of communication that were previously too energy intensive. This is because the mirroring technique used would eliminate the need for most internet-connected devices to have an external power source, which is one of the reasons it’s been named one of 10 breakthrough technologies of 2016 by MIT Technology Review. The research was funded by the National Science Foundation, the University of Washington and Qualcomm, with the findings being presented in March at the USENIX Symposium. A version of the technology is set to to be commercialized by a University of Washington spinoff company called Jeeva Wireless, so keep an eye out for this name if you want to get your hands on this new tech.